Contents: Series editor's preface; Introduction; The debate before and after the excommunication; The political significance of the first mission of the Society of Jesus to England; Old ideas and new interpretations at the end of Elizabeth's reign; 'Smile (Muses) smile! A noble one succeeds/ Eliza lawfull heire in vertuous deedes': the ascent of James Stuart; The Oath of Allegiance; Bellarmine's solution; A change in the political debate; A change in the theological debate; Conclusions; Selected bibliography; Index. 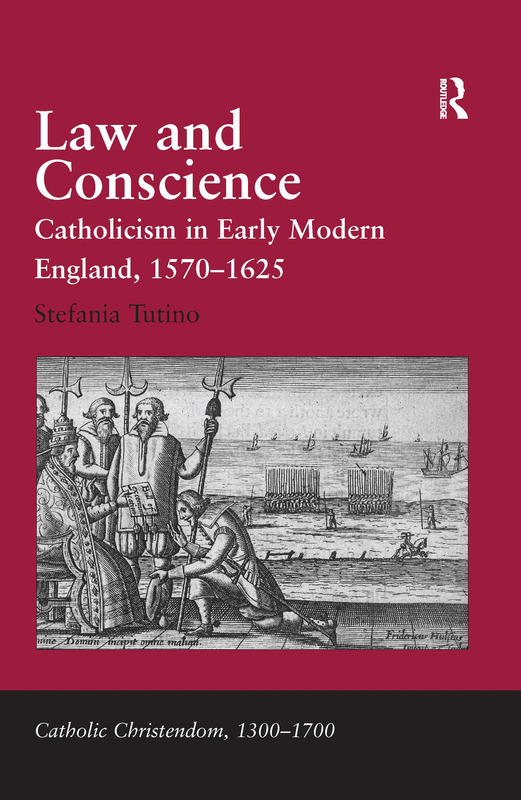 Stefania Tutino is Professor in the Department of History, University of California - Santa Barbara, USA. Catholic Christendom, 1300-1700 addresses all varieties of religious behaviour extending beyond traditional institutional and doctrinal church history. It is interdisciplinary, comparative and global, as well as non-confessional. It understands religion, primarily of the 'Catholic' variety, as a broadly human phenomenon, rather than as a privileged mode of access to superhuman realms. Catholic Christendom, 1300-1700 will appeal to academics and students interested in the history of late medieval and early modern western Christianity in global context. The series embraces any and all expressions of traditional religion, books in it will take many approaches, among them literary history, art history, and the history of science, and above all, interdisciplinary combinations of them.